Global Teacher Status Index (GTSI) 2018 said over half (54%) of Indian parents encourage their children to become teachers. Global education charity the Varkey Foundation today launched the Global Teacher Status Index (GTSI) 2018, according to the Index, over half (54%) of Indian parents said they encourage their children to become teachers - more than in any other country surveyed including China (50%), the country with the highest overall level of teacher status. By comparison, under a quarter of British people (23%) would encourage their child to become a teacher, the study said. GTSI 2018 is a follow up to the GTSI 2013 and the Foundation, which is a global charitable initiative focused on improving the standards of education, said the study is the most comprehensive study ever of how society views teachers across 35 countries around the world. Over three-quarters (77%) of Indian respondents participated in the study thought that the pupils respect their teachers which is the third highest of any country surveyed, with only Uganda (79%) and China (81%) higher. According to the study, teacher status in India is 8th highest out of the 35 countries surveyed in the new GTSI 2018. China was the highest ranked country and Brazil the lowest. Indian respondents rated their education system 7.11 out of 10 - the fourth highest rating in the study, with only Finland (8), Switzerland (7.2), and Singapore (7.1) higher. When asked to rank 14 professions in order of respect (including headteachers, primary and secondary teachers, doctors, nurses, social workers, and librarians), Indian respondents ranked headteachers the fourth highest of all the countries surveyed after Malaysia, Indonesia, and China. Indians ranked secondary school teachers the seventh highest of all the countries surveyed, with China ranking them the highest. The survey also revealed most Indian respondents (24%) thought teachers were most similar in status to librarians, while 15% said social workers, and 14% said doctors. 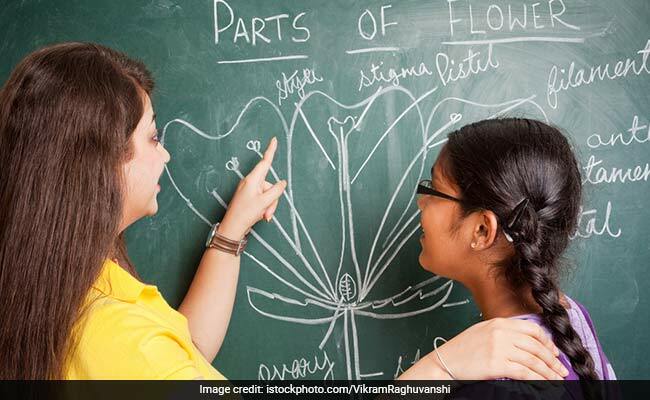 This makes India one of 10 countries which saw teachers as most similar to librarians, versus 18 who saw teachers as being most similar to social workers and only three - China, Russia and Malaysia - who said doctors. "This index finally gives academic proof to something that we've always instinctively known: the link between the status of teachers in society and the performance of children in school. Now we can say beyond doubt that respecting teachers isn't only an important moral duty - it's essential for a country's educational outcomes," Sunny Varkey, Founder of the Varkey Foundation, said. India was one of the 14 countries out of 35 that underestimated teacher wages. Respondents estimated teachers' wages to be $17,886 (USD equivalent) on average, and respondents said that a fair wage for the job would be $22,023. However, the actual starting salary for a secondary school teacher is $21,607, and the minimum annual salary needed for Indian respondents to consider becoming teachers was only a little more than this at $22,978. These figures were also similar to the amount that teachers themselves perceived as a fair wage - $20,979. The findings are based on in-depth opinion polling and analysis by Professor Peter Dolton and the National Institute of Economic and Social Research of over 35,000 adults aged 16-64 and over 5,500 additional serving teachers across 35 countries.